As with all businesses, contracts are part and parcel of many marketing agencies whether its agreements with their clients or their contractors. Even for simple marketing gigs, a contract is necessary to ensure that boundaries are observed, and trust is assured. 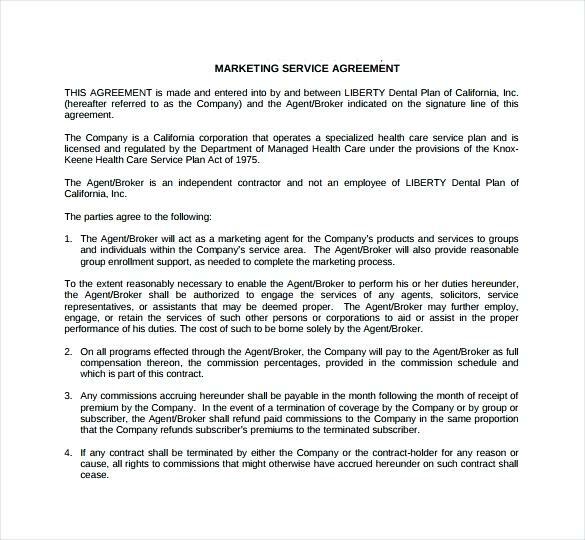 Not all marketing agency contracts are complex documents with hundreds of pages that require lawyers. Some contracts are straightforward. Some marketing contracts are entered informally via a telephone conversation or a series of emails! As a marketing consultant, you will enter into contracts from time to time with clients. When entering into a simple marketing contract, some cautions need to be observed if you are to have a smooth relationship with your clients. Most of these issues relate to transparency and content of the marketing contract instead of the form or organization. This doesn't mean that the marketing contract shouldn't be well structured. However, even the best-structured marketing contract can come full of vague clauses will make the future business a nightmare. The importance, potential risk, value and complexity of the project will determine how many clauses your marketing contract will have. Do make sure to inquire whether the person you are dealing with can bind the business you are contracting with if they are not a director. Do consider that some of the information discussed in the initial stages could be confidential to the client. Do remember to always mark non-contract documents as "not legally binding" or "subject to contract." This action is mainly during the correspondence phase, not when the simple marketing contract is being signed. Do consider if there could be an anti-poaching clause. By offering excellent services, you run the risk of having the other business poach your staff and absorb them into their business, basically stealing your business tactics. Don't mislead anyone. Make sure that you give deliberate information that will not be misconstrued by your clients later on. These comments, even in passing can then wreak havoc on the best business relationship. Don't enter into a marketing contract by mistake. If you feel like the terms you had offered are not justifiable, make sure the client later knows of this instead of entering into a non-profitable contract. Don't agree to terms that don't favor you, thinking you can talk about it later on. Don't offer inducements, especially if you feel like the field is very competitive. Give your best terms, and hope for the best. Giving someone an incentive to select you is wrong. If indeed they take it and give you the business, they may use this single incident to take more from you than you were prepared to give. It is also essential to make sure that terms of engagement are clear. Even for a simple marketing contract, you will need to know when the agreement comes into force, and when each party can end the engagement earlier than expected. Please make sure that no party has the option of terminating the marketing contract just because they can. This can cause considerable losses concerning time and resources you have invested to meet that client's needs. This clause is best put in writing so that there is a reference point in case disagreements arise later on and one party wants to terminate the contract. 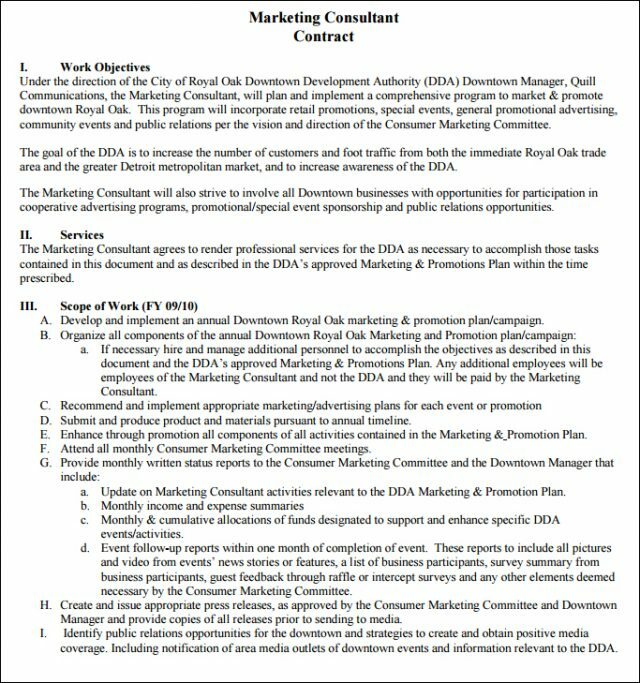 A simple marketing contract allows you to enter into a non-complex marketing project that doesn't require too many details except the expression of consent by the client. However, as simple as it is, the content may save you from a headache down the road.